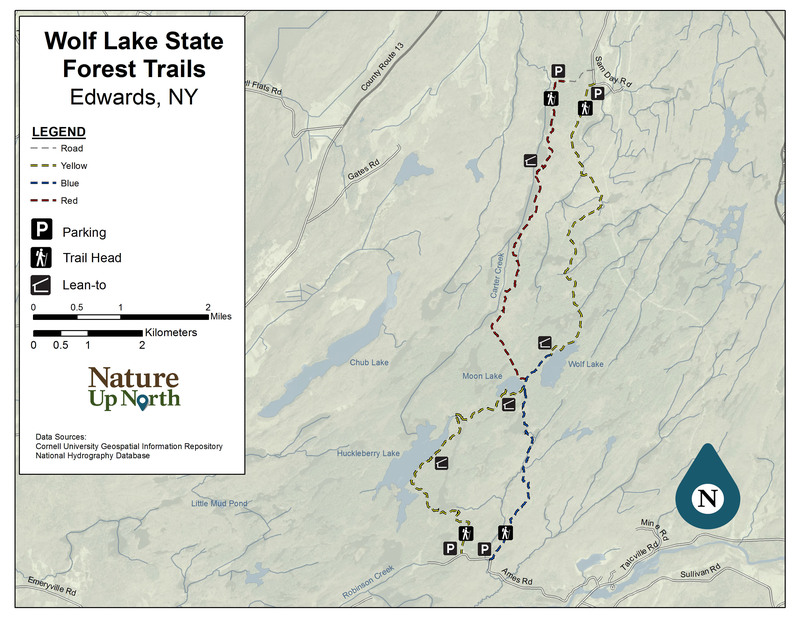 The Wolf Lake State Forest trail system travels through a forested landscape offering great views of the fall foliage and passes by three lakes: Wolf Lake, Moon Lake, and Huckleberry Lake. Many of the trails cross beaver marshes and there is a very large beaver hut on a small pond half way between the southeast Talcville Road entrance and the junction at Moon Lake (blue trail markers). Lean-tos are located on the west side of the Sam Day Road to Moon Lake trail “Beaver Ponds Trail” (red markers) approximately 1.5 miles from the northwest entrance, on the northwest shore of Wolf Lake along the Sam Day Road to Wolf Lake Trail (yellow markers), on the southern shore of Moon Lake and the eastern shore of Huckleberry Lake along the Talcville Road to Moon Lake Trail (yellow markers). 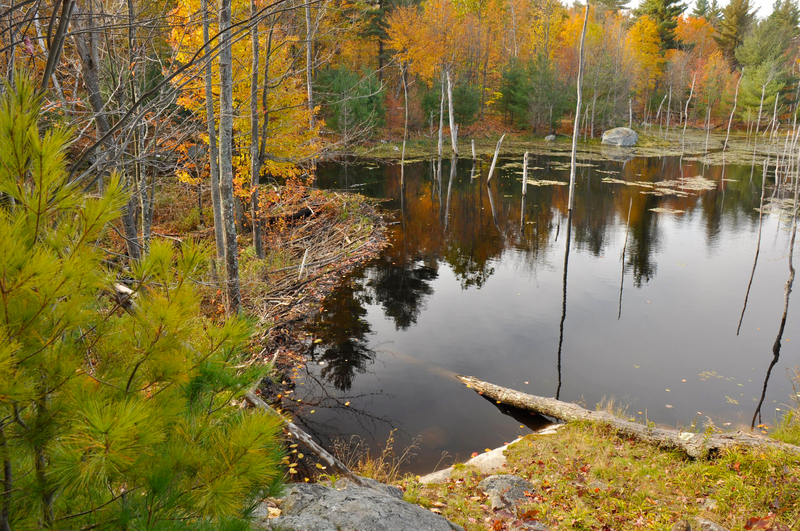 Wolf Lake and Huckleberry Lake are well known for their great bass fishing and Wolf Lake is home to many great camping sites. One of the neatest features of this hike, if you start at the right-hand parking off of the Ames road, is the HUGE beaver dam about 45 minutes down the trail. Well worth a visit! If you're new to the region like me and taking the Ames Road entance, it's about a mile on a gravel access road. I wasn't expecting that and it's worth noting in case you're in a sort of crappy compact car (like me). This is looking pretty nice place for those people who are looking for a perfect spot for enjoyment of fun and thrill. We can read recent reviews from http://www.essayuniverse.us/bestessay-com-review/ here about essay services.